23rd July 1916. Reginald Settle. F Social, 1906. 2nd Lt, 15th Squadron, Royal Flying Corps. Killed in action over Hébuterne. At Radley, he played for the Soccer XI. 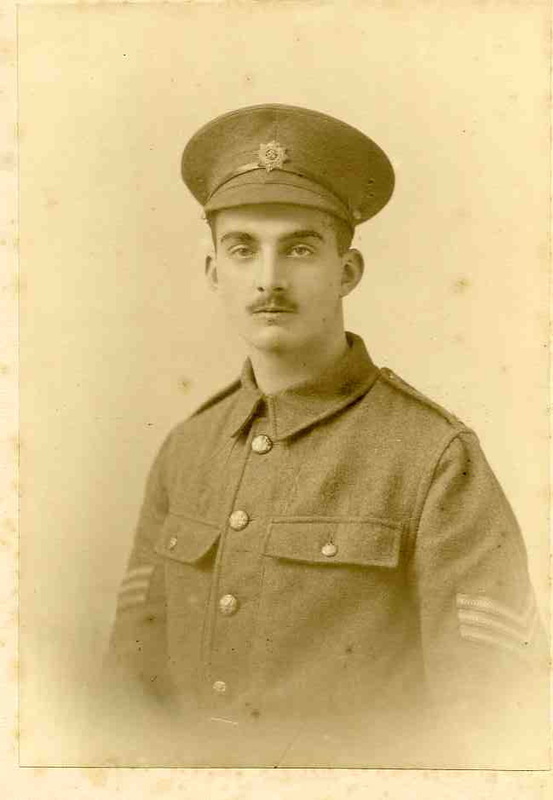 He joined the Army Service Corps (Motor Transport) as a private in November, 1914, and after passing a special examination was sent to France the same week that he enlisted. He was promoted sergeant in the ASC and is shown in that uniform in the War Memorial Album photo opposite. Despite being in charge of General Haig’s motor transport Reg wanted to see more action. In the summer of 1916 he had broken up with his girlfriend. He applied to join the Royal Flying Corps. He was killed in a small plane with an open cockpit while flying over German lines. He was sitting directly behind the pilot who heard a single shot but thought it had missed them. The plane flew normally but when the plane landed the pilot found Reginald dead was a rifle wound. He wrote to tell Reginald’s parents about the circumstances of their son’s death. Posted in Commemorating the Fallen of WW1 and tagged 1st Battle of the Somme, 2nd Lieutenant, F Social, Flanders & France (Western Front), killed in action, Royal Flying Corps/RFC/RAF on 23 July, 2016 by archives602.